After the pounding received by Nifty yesterday, sanity prevailed with the index staying a small range but closing positive at 5619.70 a small gain of 21.80 points. The index opened flat and went to the lows at 5585 but the responsive buyers moved in and saw the index above the psychological level of 5600. 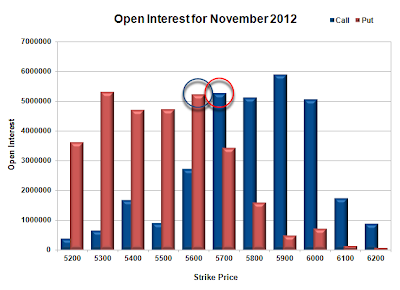 The OI Table saw huge resistance building up around 5700 level. Call option 5600-6000 added 17.77 lacs huge amount of OI with some profit booking seen at 6100 and above strike prices. Put Option 5600-5200 added 16.02 lacs huge amount of OI with huge short covering seen at 5700 and above strike prices. 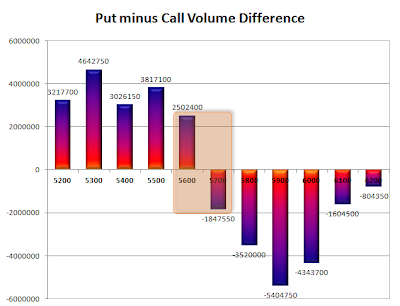 Highest accumulation on Call option 5900 at 58.9 lacs & 5700 at 52.7 lacs whereas Put option 5600 at 52.3 lacs & 5300 at 53.1 lacs. Nifty Open Interest is at 1,75,06,950 down by 4,06,050 with small increase in price, most probably long liquidation/short covering. 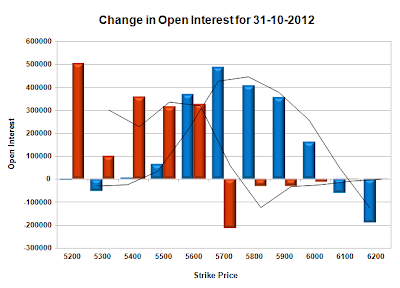 Bank Nifty Open Interest is at 10,82,275 down by 32,350 with increase in price, most probably short covering. FII’s sold huge 2.97 lacs of Futures, most probably short build-up, as their net OI also increased by 1.15 lacs and their average price per contract comes to around 4893. FII’s future open contract as on date is 381716. PCR Open Interest (Volume) is hovering around 1.016. 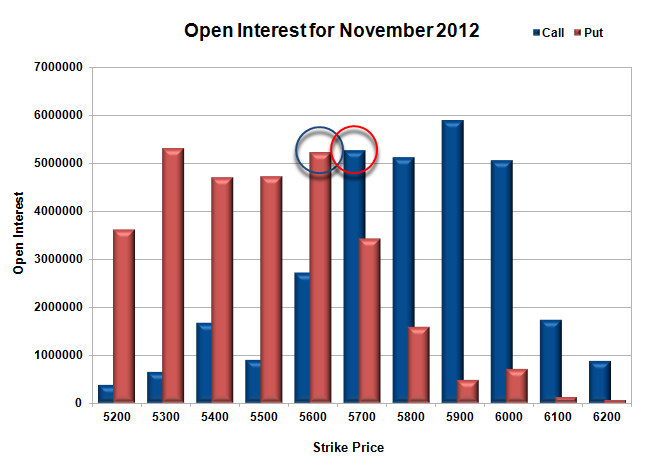 Support still very much at 5600, with highest OI of 52.27 lacs. Resistance at 5700, with huge OI of 52.7 lacs and above that at 5800-5900 with OI above 51 lacs. Range as per Option Table is 5566 -5662 and as per VIX is 5577 - 5662 with 5630 as the Pivot.